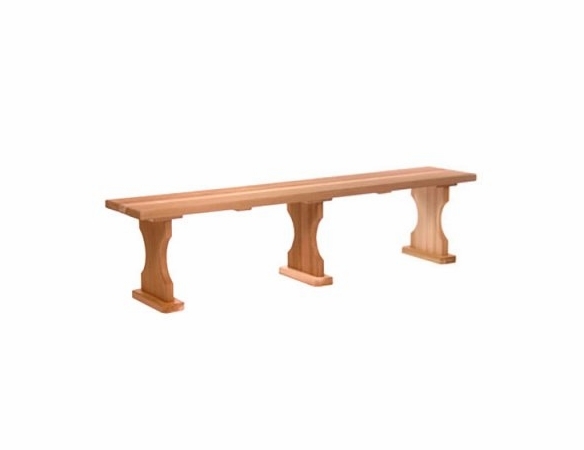 Whether you want to meditate upon the beauty of your garden or seat a crowd at your next big garden party, the 6’ Western Red Cedar Wood Backless Bench Kit from Cedarwood Furniture offers an easy, affordable option. Each DIY backless bench kit includes everything you need for fun and easy assembly, including finely sanded wood, zinc-plated hardware and instructions. Made in Canada, this DIY bench will provide long service, thanks to cedar’s naturally protective oils.